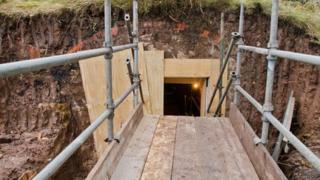 An underground Victorian reservoir is to be opened to the public before being demolished to make way for houses. 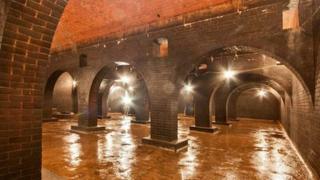 The brick-vaulted Clayton reservoir, decommissioned 21 years ago, is under land in Back Lane, Clayton-le-Woods. 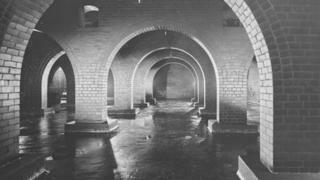 Campaigners have not been able to raise money to preserve the reservoir and had failed in applications for it to be made a listed building. Paul Jones, from developers Kingswood Homes, said it would be open for guided tours for two weeks. He said: "We felt it was important to open it to the local community to give them the opportunity to come and have a look at the archaeology and the history." Rosemary Boyd, from Chorley Historical Society, said: "At first we were very disappointed because we couldn't get the funding, but we're very pleased it's being made available for the community to see, especially the children."